The word 'dyslexia' is originally Greek and means 'difficulty with words or language'. Up to 10 per cent of the UK population has dyslexia, with around 2 million people in the UK being severely affected. The condition is currently more common in males than females. Dyslexia is a brain-based type of learning disability that specifically impairs a person's ability to read. These individuals typically read at levels significantly lower than expected despite having normal intelligence. They may also have trouble making the basic connection between letters and their sounds and have difficulty with spelling, writing, and speaking. There is said to be an overlap with conditions such as Attention Deficit Hyperactivity Disorder (ADHD) of around 30-50%. The overlap with Dyspraxia appears to be even higher. "WHAT ARE THE CHARACTERISTICS OF SOMEONE WITH DYSLEXIA/SpLD?" Associated features include problems in distinguishing left and right, poor sense of direction, difficulties with time and tense and subtle problems with both visual and auditory perception. 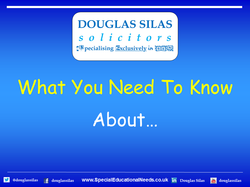 There are many types of Specific Learning Disability (SpLD) of which Dyslexia is only one. In some cases diagnosis can be difficult. Only a full psychological assessment will determine if any child or adult is Dyslexic. No two people with Dyslexia are exactly the same because Dyslexia ranges between mild, moderate, severe and profound. Dyslexia is often identified whilst children are in primary school, and can become more evident as the need for written work arises. However, children with Dyslexia also have many positive qualities in areas controlled by the right hemisphere of the brain, such as artistic skills, creative or global thinking, a strong athletic ability, good people skills, a vivid imagination, and 3-D visual-spatial skills.